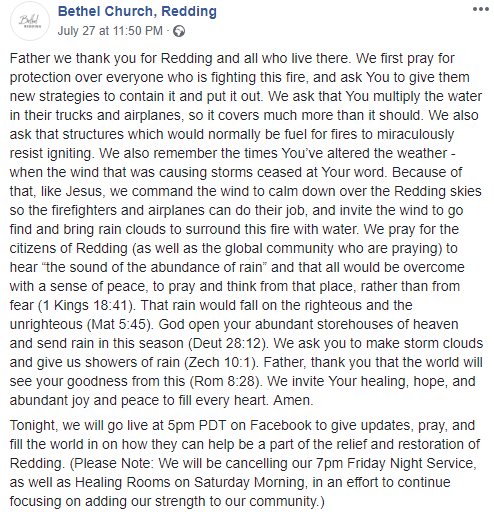 Bethel’s delusions of grandeur – impervious to the realities of the Carr fire. Home › Uncategorized › Bethel’s delusions of grandeur – impervious to the realities of the Carr fire. 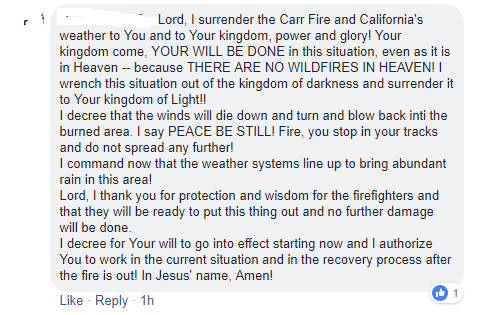 An excellent follow-up article from “Famine In The Land” Rick Becker as he examines the spiritual “aftermath” of the Carr fires in California, that came so close to the headquarters of Bethel Church, Redding. Dedmon makes it sound as if the winds had shifted as a result of their declarations and thankfulness. What about Bethel members who did lose their home? Were they unthankful? Did they fail to access their prayer language? Were they short of declarations? Why were they robbed of a breakthrough? These are the questions that must be asked when a man centered theology takes stage. This is the dilemma that word of faith theology and a faulty view of spiritual warfare creates. 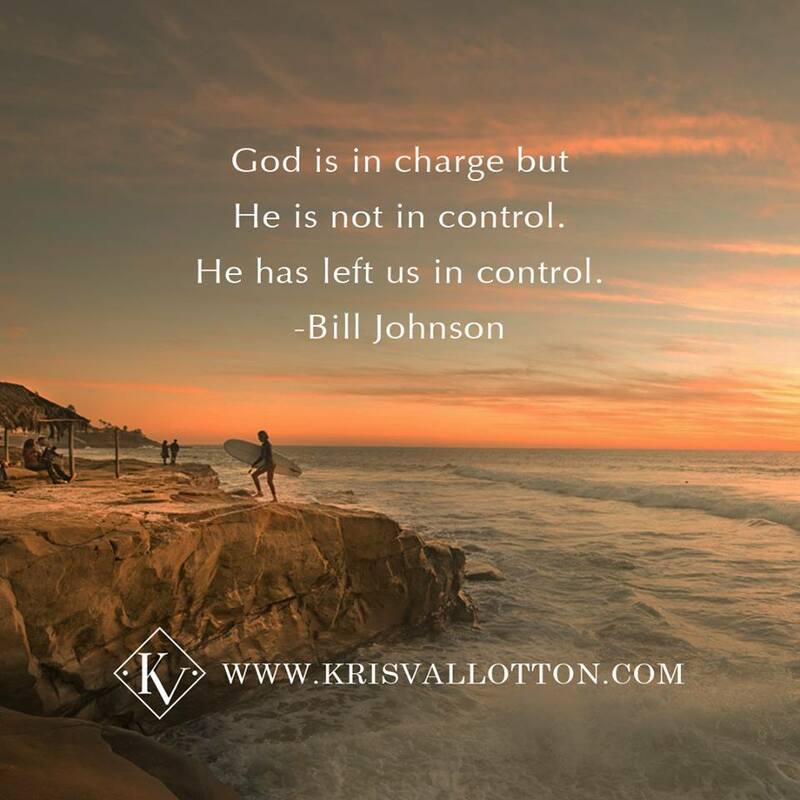 ‹ Reviewing disgraced Catholic Archbishop Philip Wilson, Hillsong’s Elders, Board Members & Their 2014 Guilty Media Statement.